Explore this collection of Formal Falls photos showcasing waterfalls for walls. 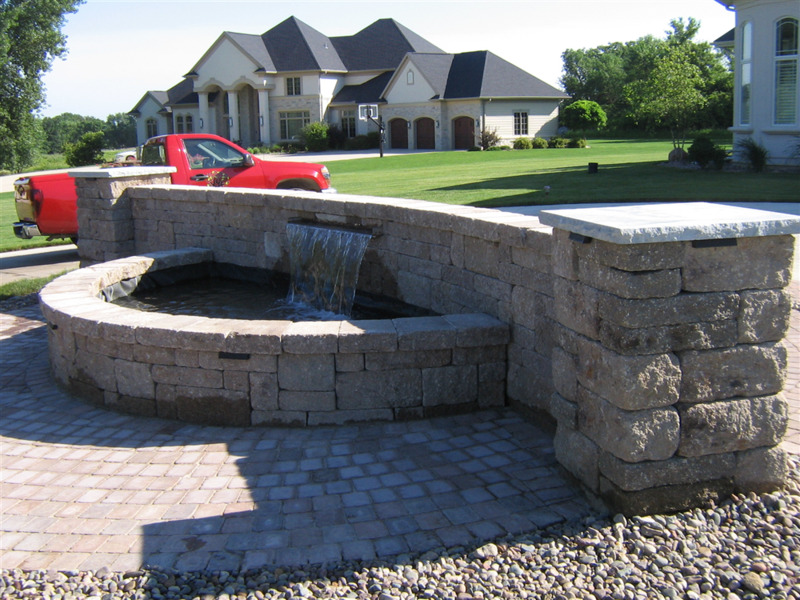 Visit us on facebook for other great examples. 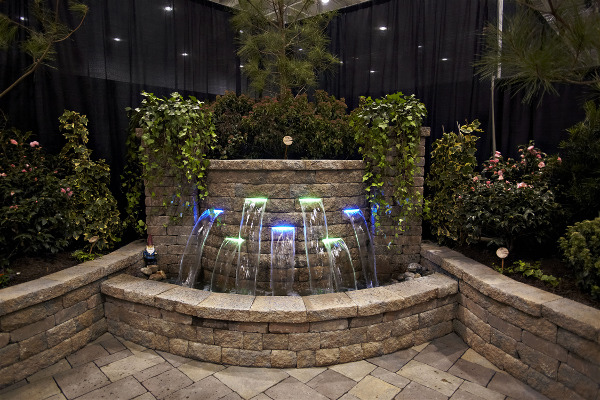 Notice how the Formal Falls is located mid-height in the wall. Since the Formal Falls is 100% Stainless Steel the strength of it allows you to use it as a bridge. 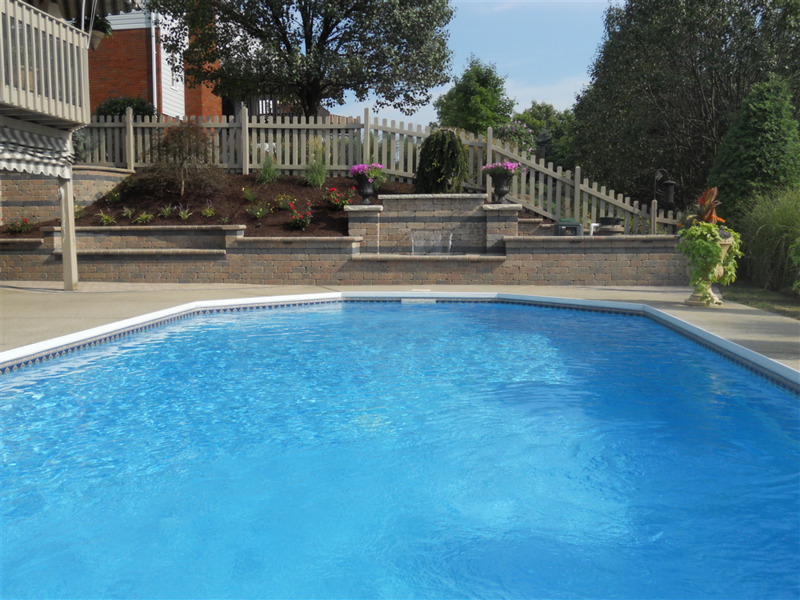 Include a focal element with your next design. 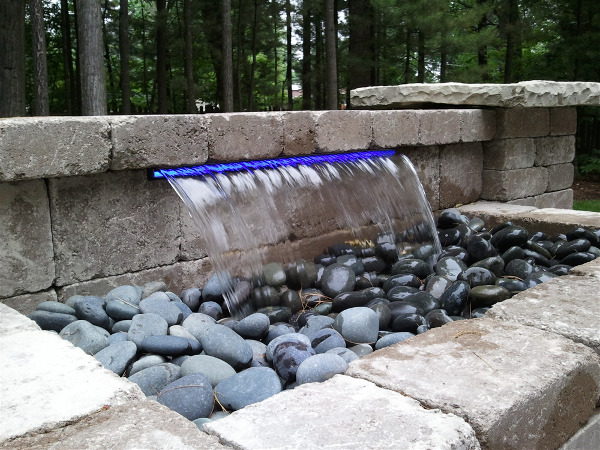 The Formal Falls works great alongside a pool or falling into it. Incorporating natural stone finishes can really change the look depending on what texture, material color choice and style are needed. 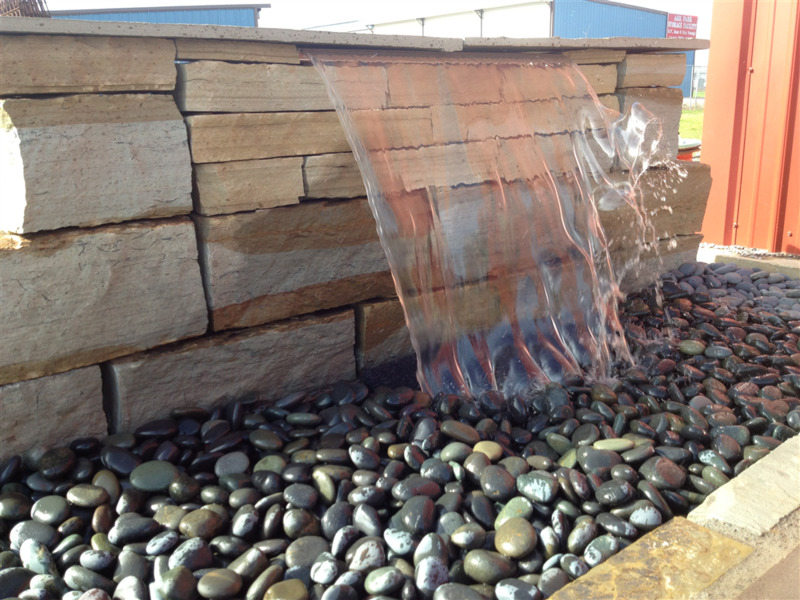 Notice how the wind can come into play with your Formal Falls. Depending on the environment in which you look to put the falls into, extra liner may be needed. 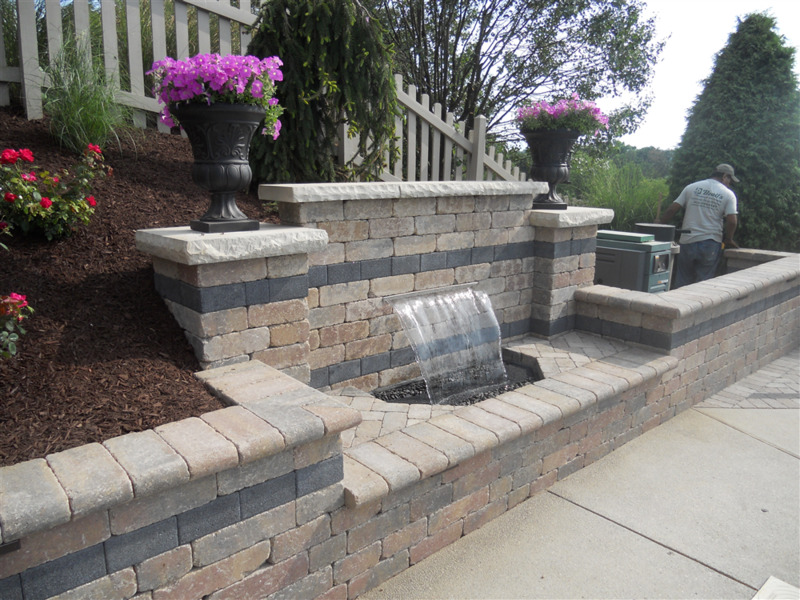 This Formal Falls follows the traditional installation of a sheer waterfall using block. Created in a 4x6ft area. 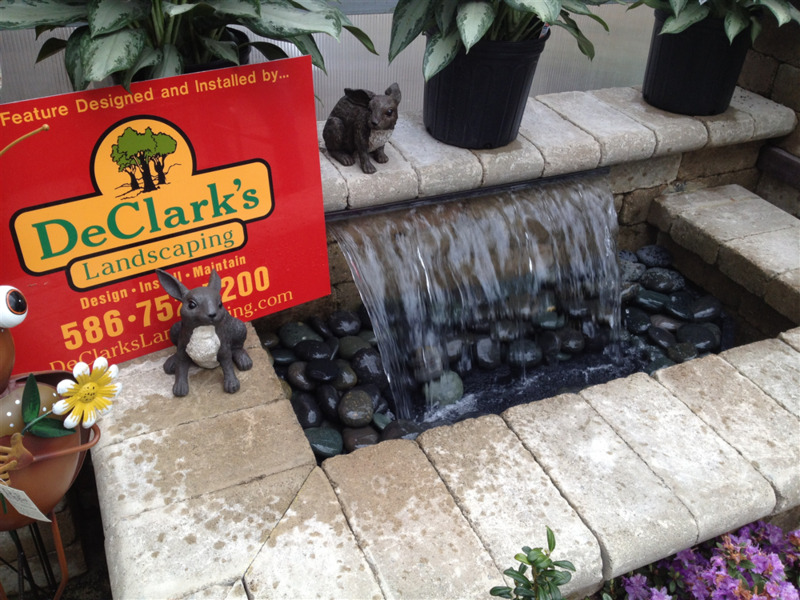 Falling roughly 20" this Formal Falls takes a commanding position on this patio space. 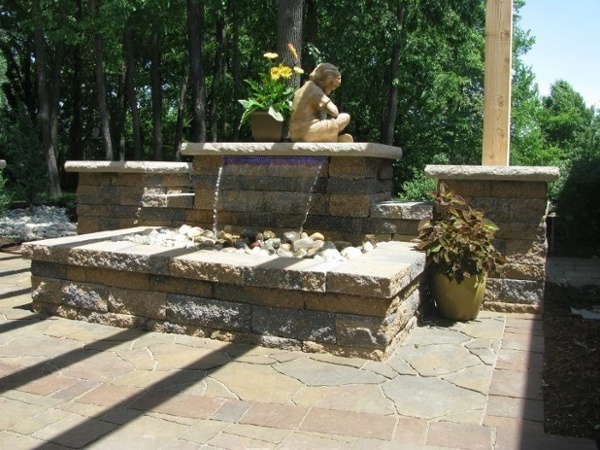 As a focal element, the columns flanking the falls works great to frame in the view. Represent your company with a real show stopper- the Formal Falls provides great sounds, a stunning focal point and a real revenue driver. 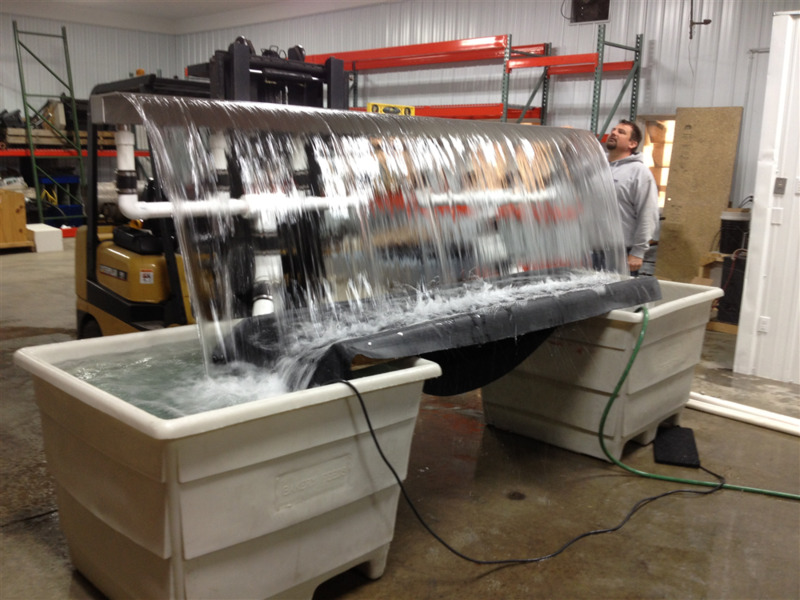 During our R&D we test all custom Formal Falls orders to make sure we deliver the results our clients expect. This is a 12ft Formal Falls with approx. 12,000gph of flow. The Medium 28" Formal Falls Kit was built into a corner of this stone patio. Looks great and provides a nice focal\anchor point as well. This example shows how several types of materials work with a Formal Falls. 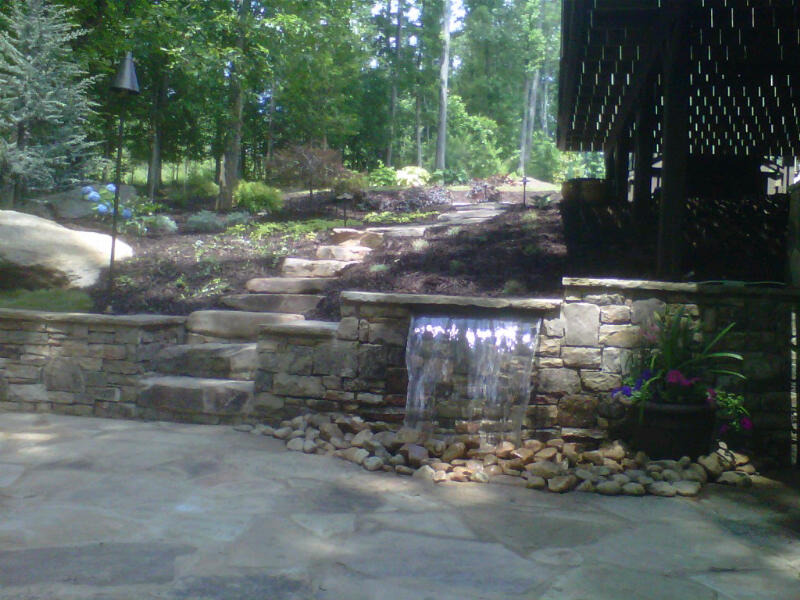 This was a Custom Formal Falls project where the contractor incorporated a 6ft Formal Falls into his driveway project. K&D supplied us a photo of 7 of the 8" Mini Formal Falls all in action during his home show. 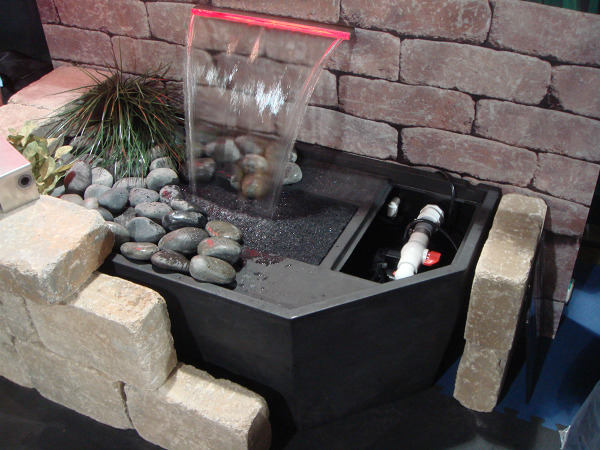 Ask about our Display Program so you too can construct an attractive display. 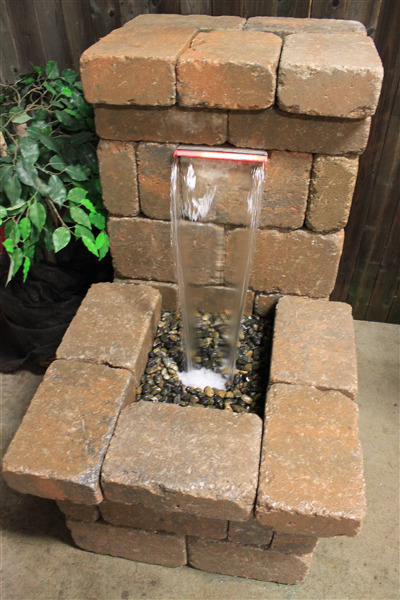 As a kit, the 8" Formal Falls can make a huge impact on your patio without taking up much space. 700-900gph of pump flow. Using a banner backdrop we created this mock-up display to show how a Formal Falls can be constructed. 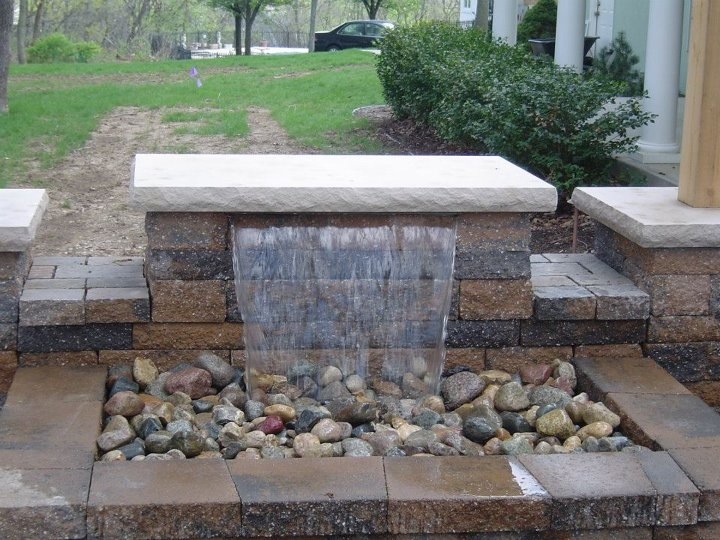 This contractor installed the Formal Falls at roughly 12" above the basin to create a low but wide effect. 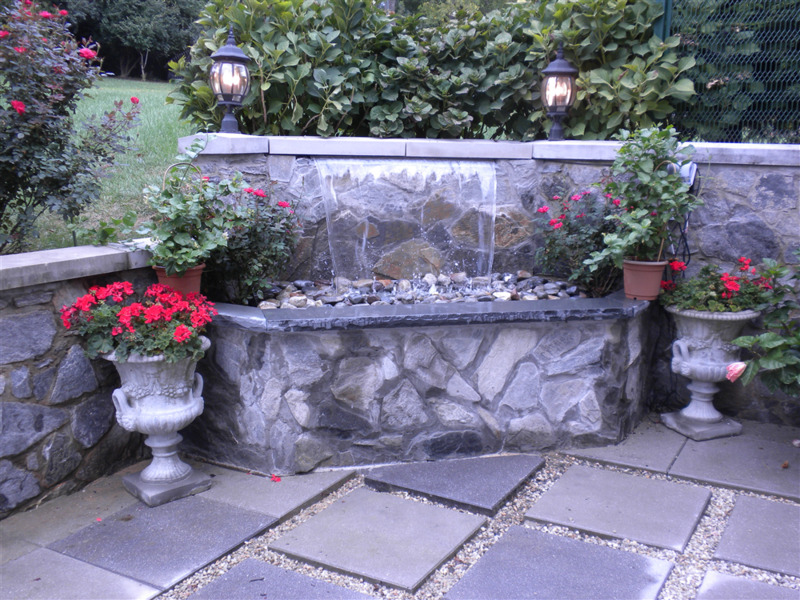 Notice how much more attractive your walkway and patio space can be with the addition of water. 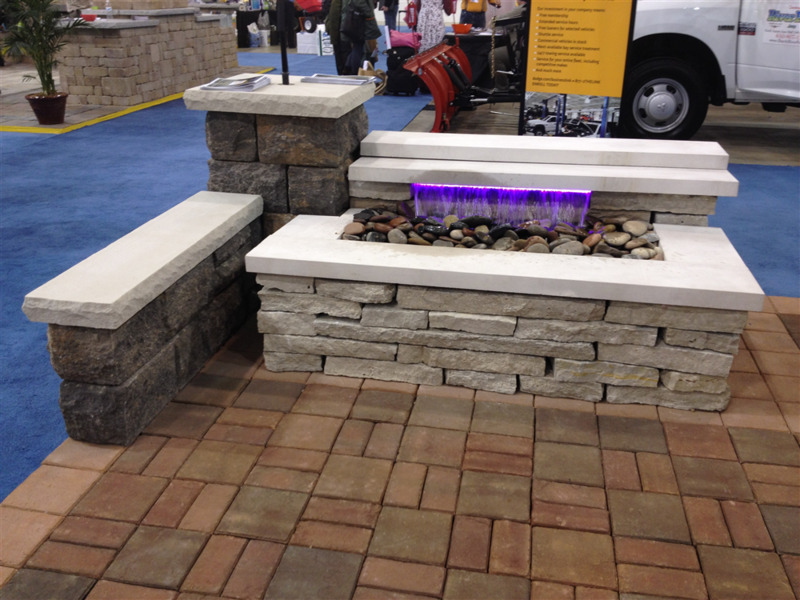 Imagine how lovely this patio sounds.